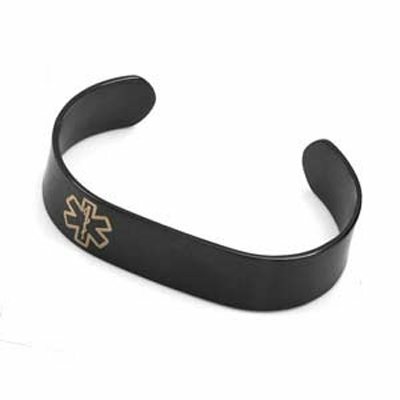 This Stainless Steel Black IP Medical Cuff Bracelet emits masculinity. The plating makes it corrosion resistant. Engraving will expose a lighter gold color under black plating. Wrist size should be 7-1/2", the same as stated length of bracelet. Product not available for further discounts.